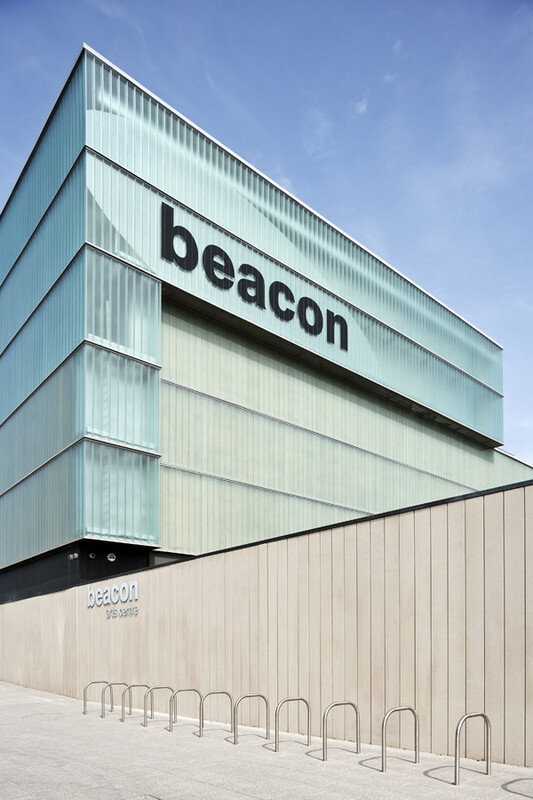 The Beacon Arts Centre is a new theatre complex designed for the Greenock Arts Guild. 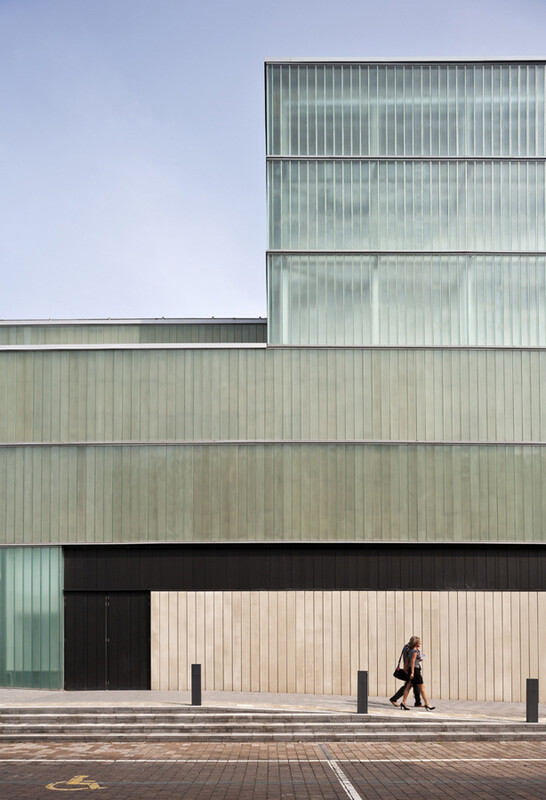 The £8.5 million venue will become a vibrant focal point for the performing arts in the area and an asset for the local community. 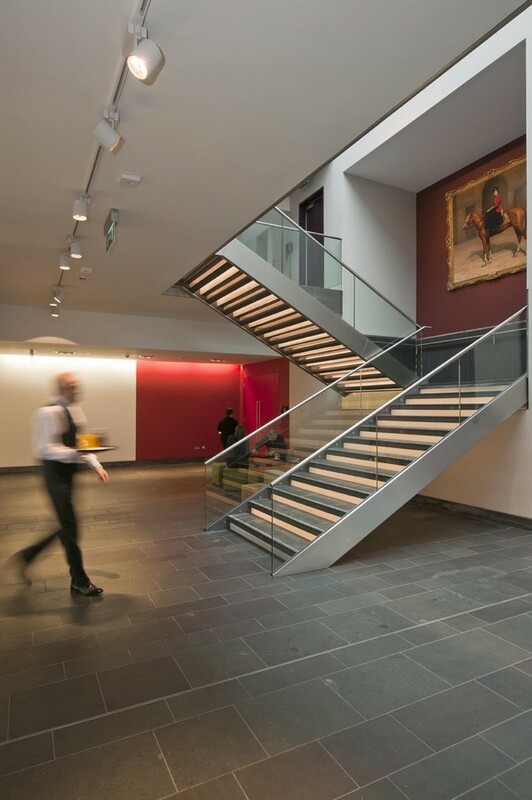 It is part of a wider redevelopment of former industrial land and is sited in a prime location adjacent to the historic Grade A listed Custom House. 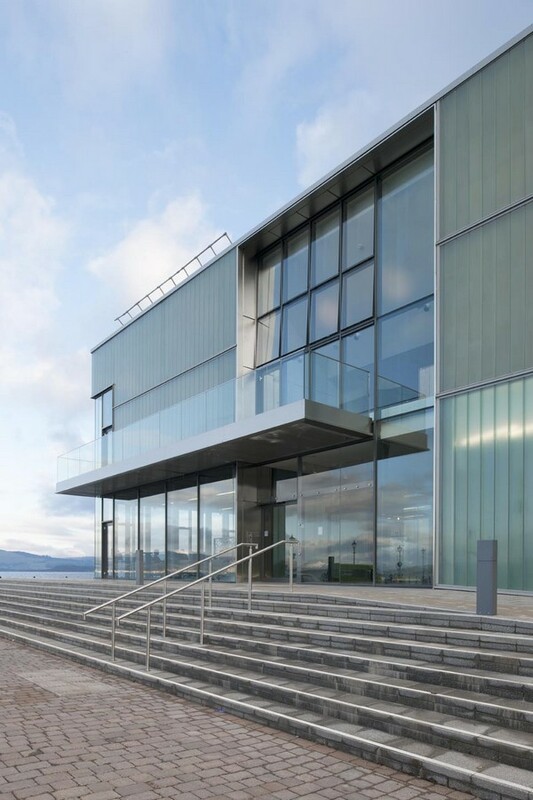 The development will have a significant social and economic impact on Greenock. 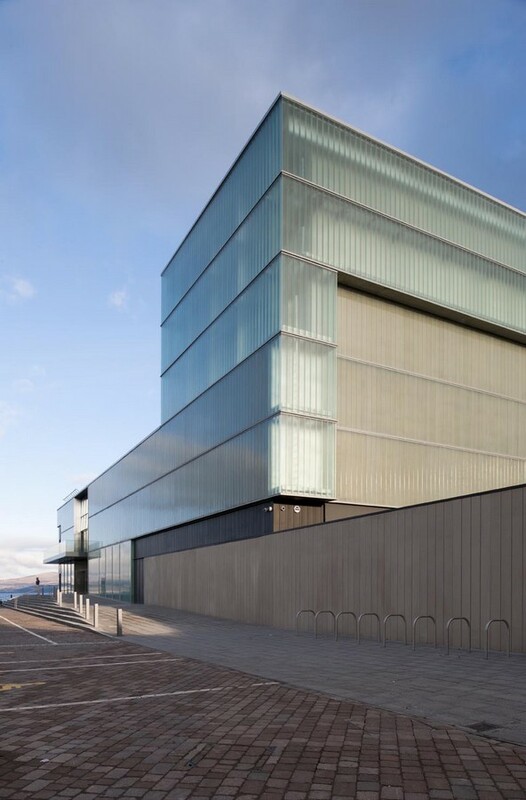 As the main arts venue in Greenock and the surrounding area the success of this project is essential for maintaining and extending the cultural life of Greenock. 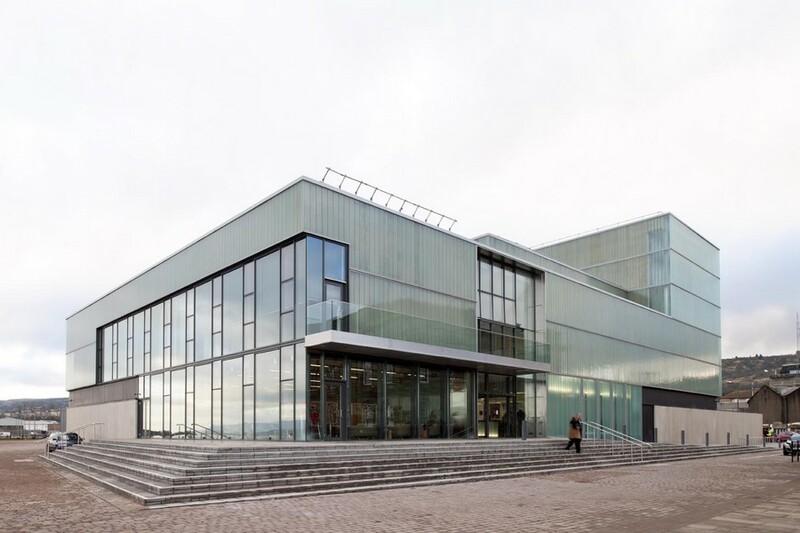 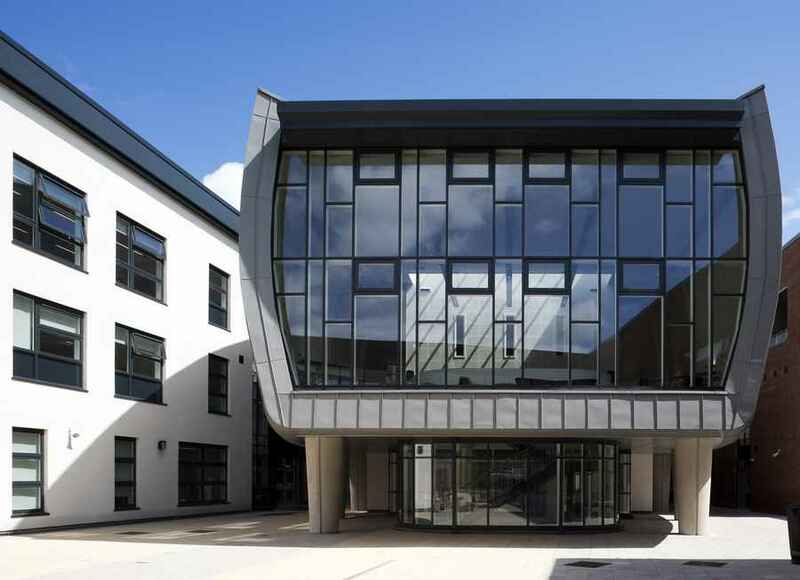 The building provides the local community with a modern and capable centre for the arts and will help to attract a wider audience to the area. 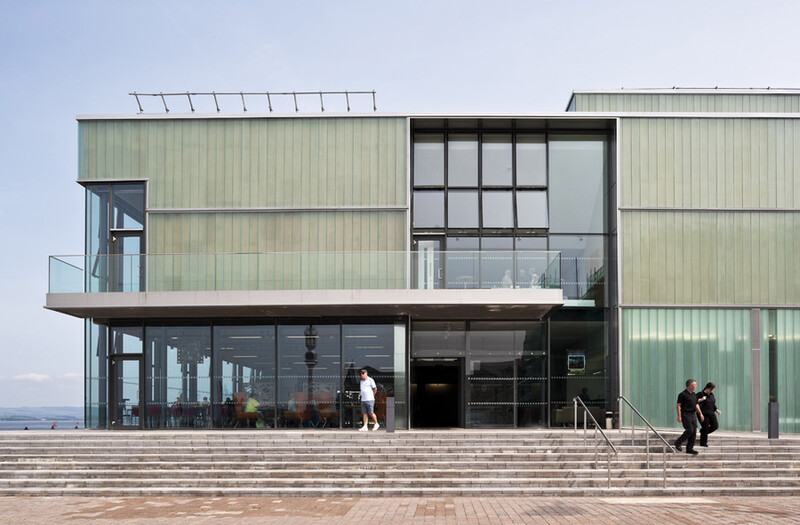 The new building houses two performance spaces; a multi-level theatre and stage and studio space, together with a cafe bar and a range of flexible multi-purpose meeting rooms within a simple compact footprint. 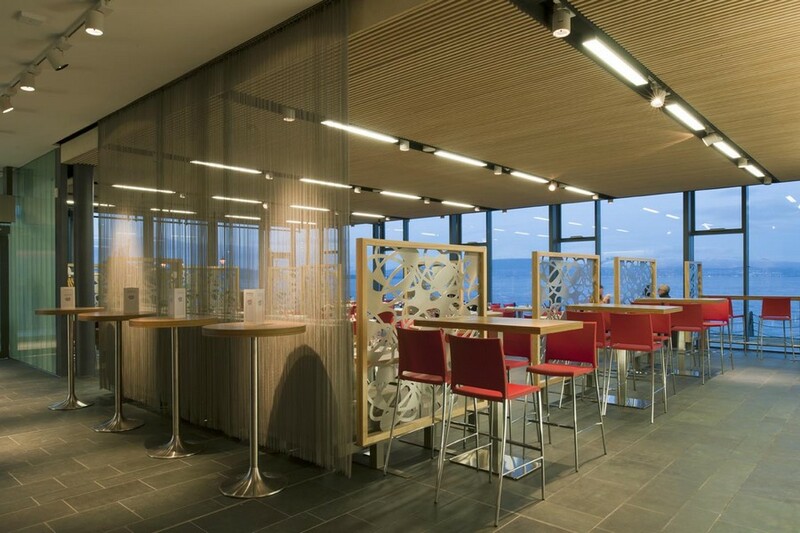 The cafe bar and meeting rooms enjoy stunning views across the River Clyde estuary towards the hills of Argyll and Dunbartonshire. 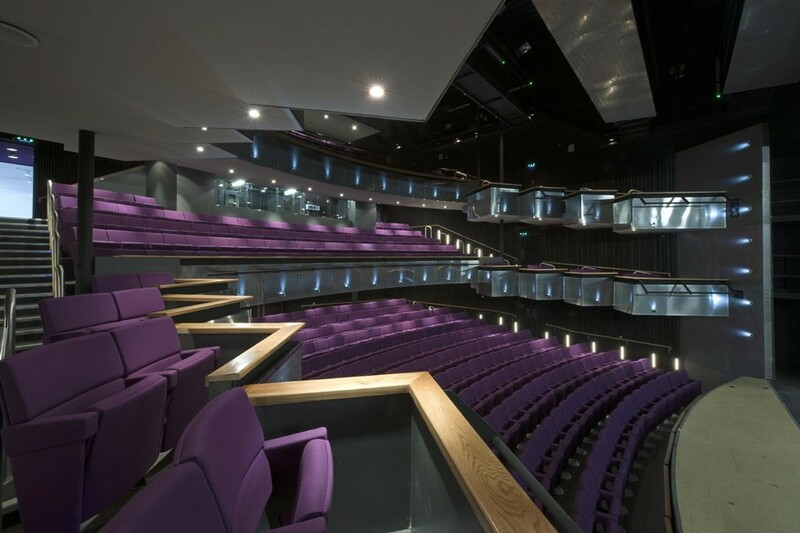 The main auditorium is a modern interpretation of a traditional end stage theatre and seats 500 people over stalls, circle and upper circle levels. 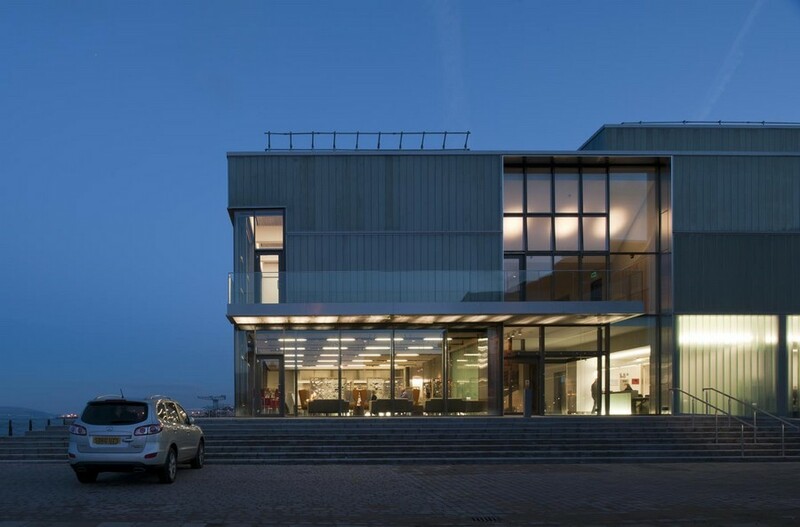 It is designed primarily for drama with a full flytower and broad proscenium. 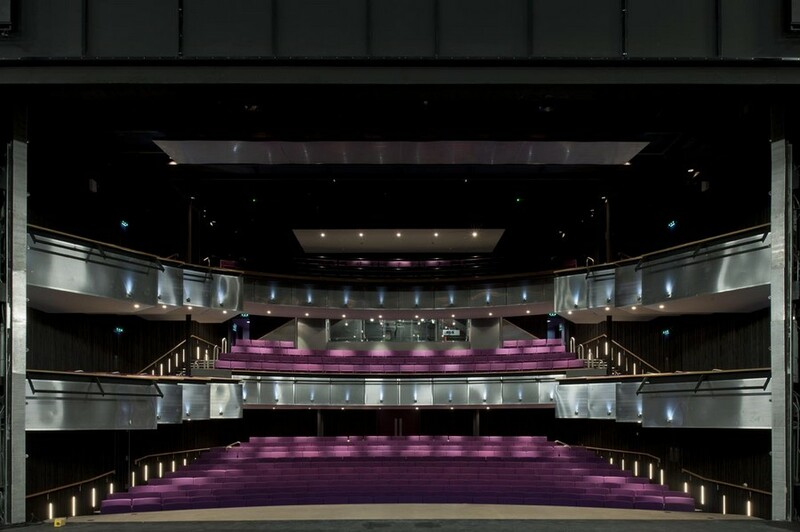 Within the auditorium the circle levels are stepped downwards and towards the stage with a series of sawtooth open boxes, which connect the audience with the actors and give the space a real sense of intimacy. 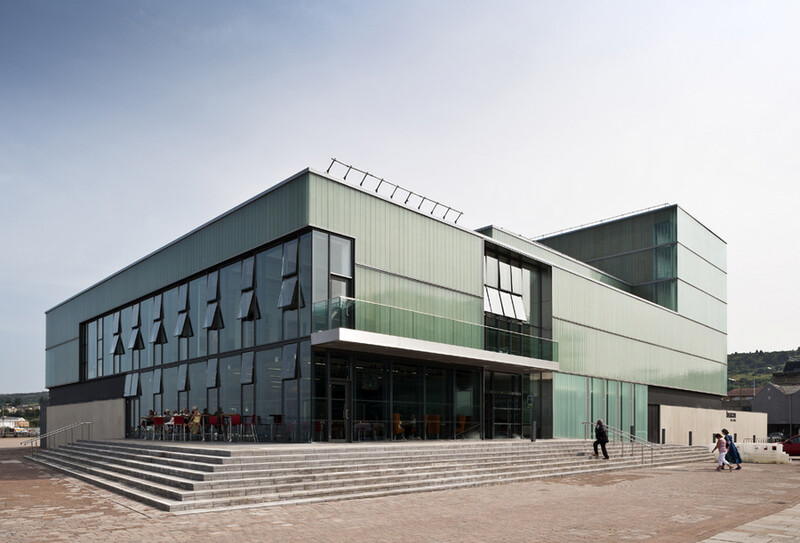 The second performing space designed as a black box studio space seats 128 people. 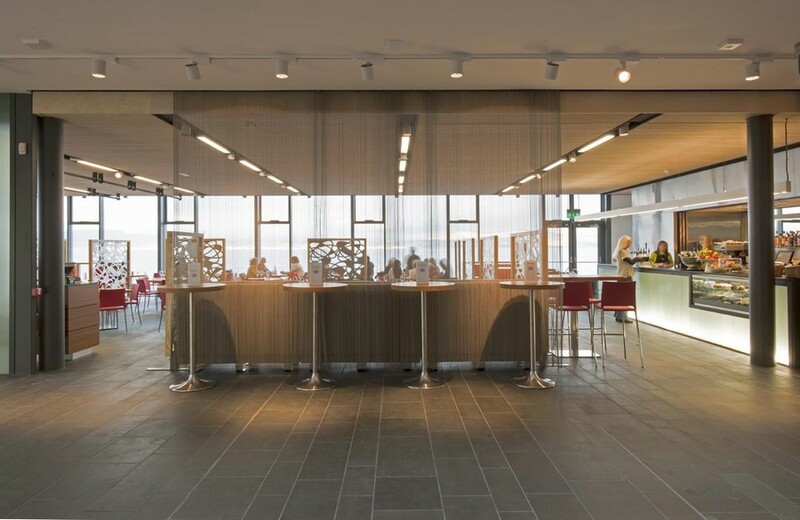 This is fitted with a retractable seating system and can be configured in a variety of formats. 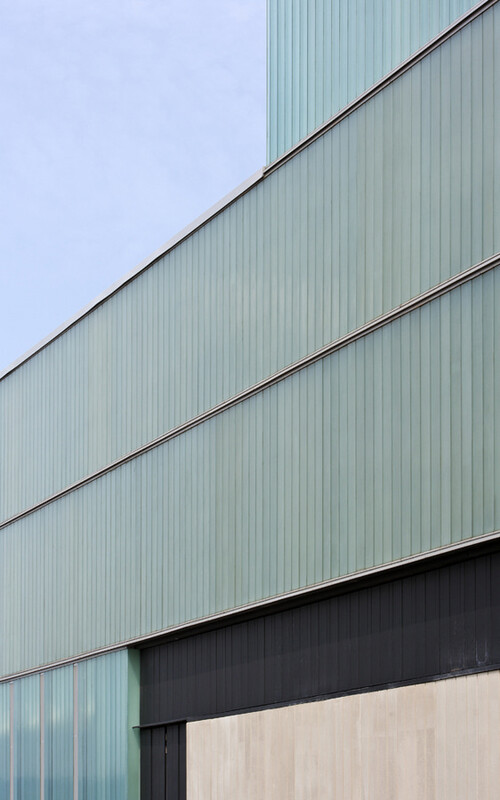 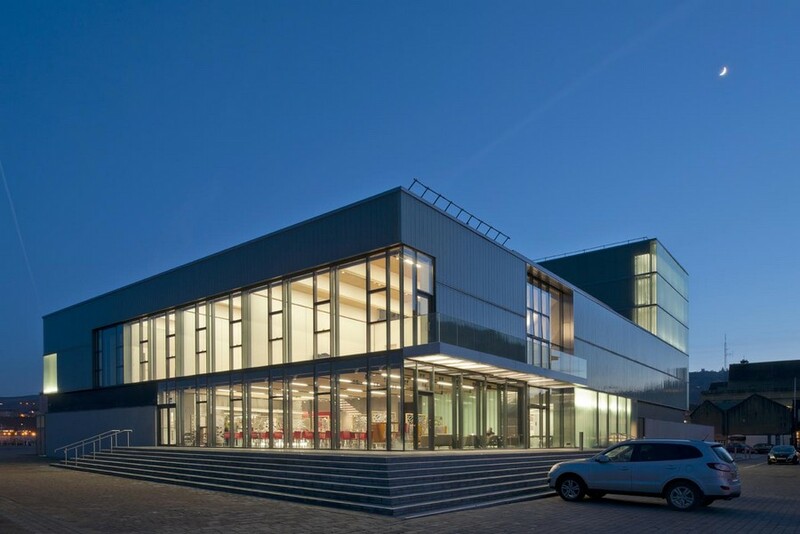 The exterior of the building is substantially clad in structural glass planks. 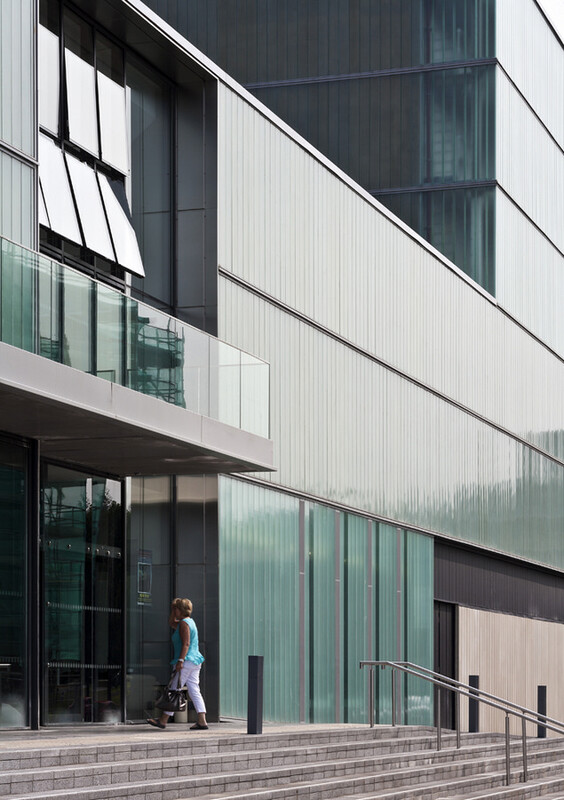 They are set within horizontal bands to help break down the scale of the flytower and integrate it into the main body of the building. 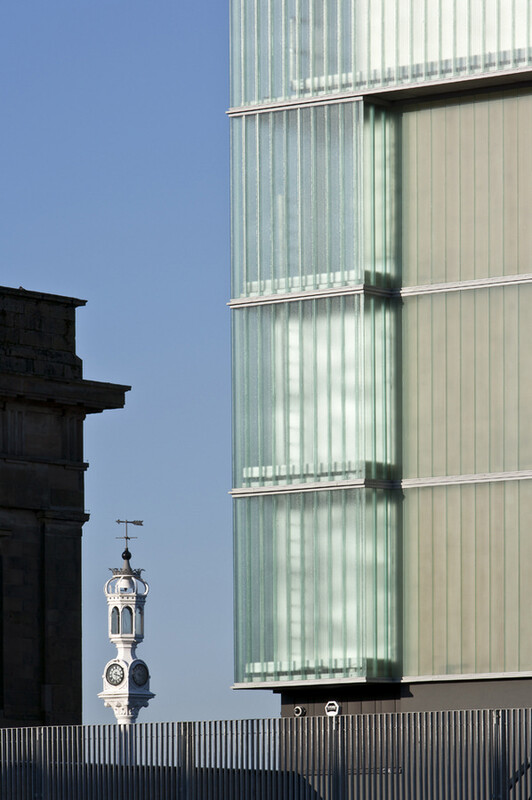 The glass walls reflect the changing patterns in weather, light and reflection, allowing the building to take on a different character during various times of the day, and from day to night. 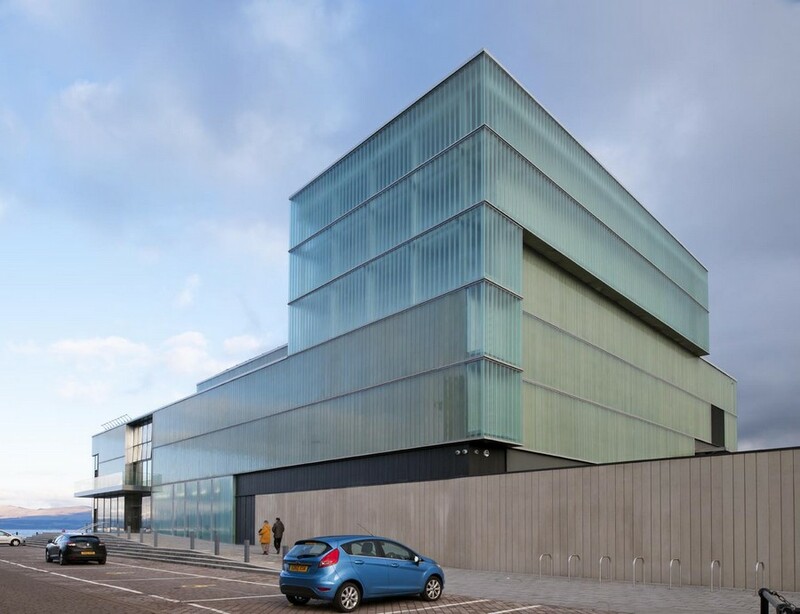 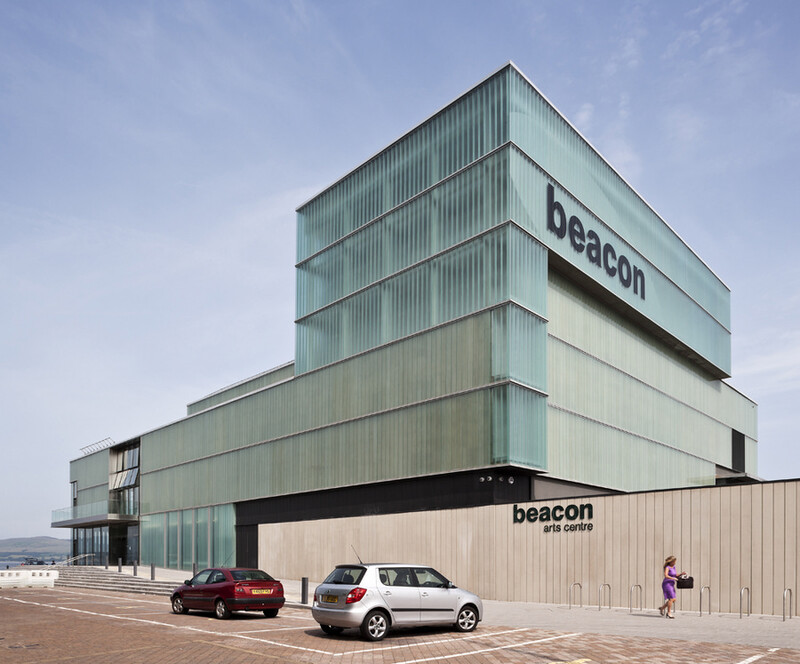 The glass wrap is extended outwards to form lantern spaces that allow the building to advertise the Beacon with large format graphics displayed towards Greenock town centre. 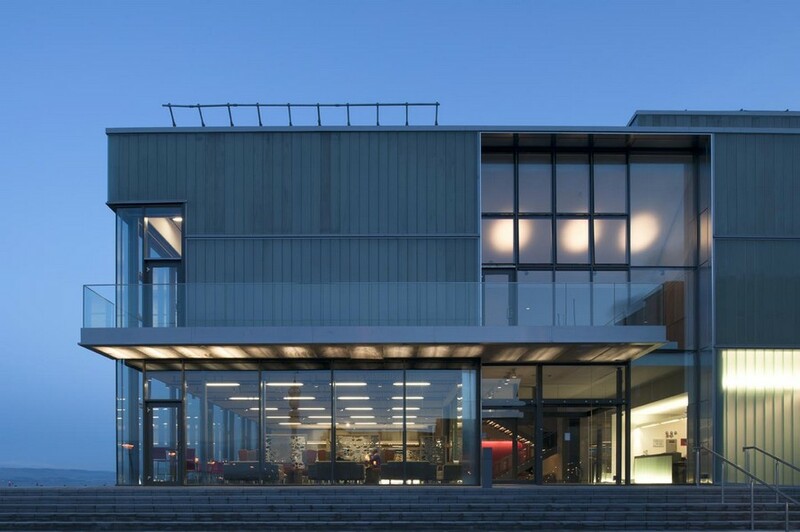 Fluorescent tubes placed within the lanterns illuminate the structure at night and transforms the buildings appearance.